These confortable chairs have been produced though a new re-interpretation of straw weaving. 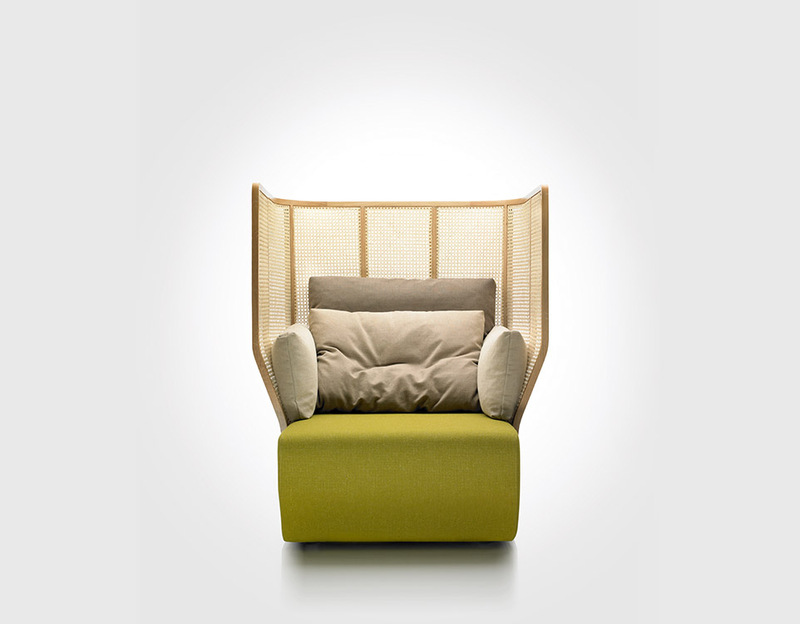 This chair offers a protected interior space. The cushions enable the user to recline, sit, enjoy him- or herself or work.Designed in collaboration with Samuel Accoceberry. A cross between an armchair and a confessional, one can feel comfortable and protected in these chairs even if they are in a hotel lobby. This type of straw weaving work is produced with the carpentry and upholstery capacity of these remarkable companies.